Many people are fairly familiar with the internet marketing terms like “web analytics” and “SEO”, but one of the lesser known and used terms in search results is A/B testing. A/B testing may not be a term that everyone is familiar with, but we’ve all undoubtedly practiced it in several different aspects of our life. A/B testing is exactly what it sounds like: you have two versions of something (i.e. landing page “A” and landing page “B”). You then put both version “A” and version “B” on the web and take measurements to see which version was better and which wasn’t. A/B testing is an important part of any online strategy, since it will tell you what works, what doesn’t, and what may work. It helps you fine tune your marketing game so that you’ll get the best results possible. But when it comes to A/B testing, there are certain things that must be tested, though this may vary depending on your goal. The headline of a web page/PPC ad/landing page, etc. The product or service description. The call-to-action (this involves testing several different elements, such as the wording, the size, the placement, and the color of it). A website/landing page’s layout and style. If you have a form, test the form’s lengths and the fields on the form. The images that you have on your landing and product pages. The amount of text that you have on the page you are testing (i.e. test “short” text versus “long” text). The field-types in the form. The length of the form. You may also want to test the kind of media that you have on your page. You may create one page that is text only with graphics, but then have a video marketing campaign on the other page, for example. This is a good method for anyone who wants to test an entire page, like a different color theme or a different layout. If you’re only testing one element, like the color of a “call-to-action” button, then you can create different versions of that button in your testing tool through HTML. When your test page goes live, then the A/B tool that you use will sporadically replace the initial “call-to-action” button with one of the different versions you created. If you have a sales website, it’s also important to test your conversion goals as well. Once you get a fair amount of visitors and conversions through your test pages, it’s time to look at the results and start figuring out what variations of the page were the cause for most of the conversions. Remember to always test the control before you test your variations! Test both at the same time. Don’t conclude the testing before it’s really finished (you can use one of many online calculators to help you determine the length of your A/B testing). Keep “statistical confidence” in mind. This will help you determine whether your test results are of any significance, and prevent you from reading into things too early. If you have a regular lot of customers who come through to your site, don’t include them in your experiments. You know that expression “trust your gut”? When it comes to stats, don’t. Trust in the stats. They don't lie. 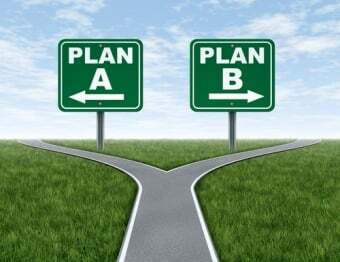 A/B testing is essential if you want to have the best marketing campaign possible. While testing is a continuous process that you should keep up with as long as you have an online presence, it’s important to know what to test, and when to conclude testing. Concluding a test too early could mean getting skewed results, but concluding a test too late could also have a negative effect on your campaign. If A/B testing is something you are interested in but are having trouble getting started, contact us today to schedule your free marketing analysis.